The contemporary contours of the R25 model give it an elegant simplicity which allows it to blend easily with any interior. 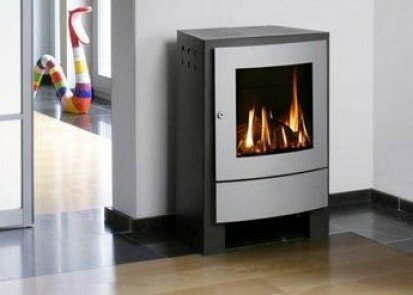 The sleek style of this contemporary stove will make it an admired feature of your home, even when it is not lit. The R25 model comes with either a graphite or Pewter door. Now available with an optional Stainless steel burner for River rocks or Glass beads. 3 Piece porcelain panels for a Soothing reflection also available. 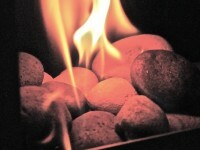 This entry was posted in Gas Stoves, Nestor Martin. Bookmark the permalink. Follow any comments here with the RSS feed for this post. Comments are closed, but you can leave a trackback: Trackback URL.